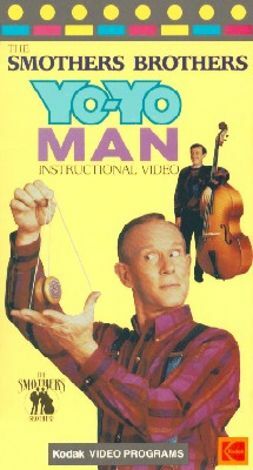 Not Yo Yo Ma, but Yo-Yo Man! And who is this master of the Duncan? None other than Tommy Smothers, who first demonstrated his yo-yo prowess on a 1988 edition of The Smothers Brothers Comedy Hour. What started out as a running gag ended up a cottage industry for the multi-talented Mr. Smothers. This instructional video has its share of laughs, but once you've properly composed yourself, you just might learn something to AMAZE YOUR FRIENDS!